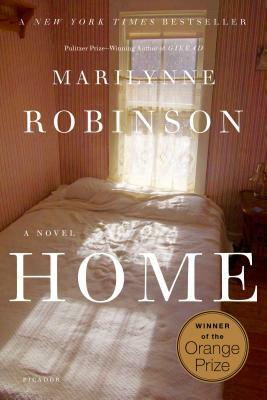 In her most recent novel, Home, Marilynne Robinson returns to the small town of Gilead and to some of the characters introduced in her Pulitzer-Prize winning novel of the same name. Now, however, she is addressing age-old questions about the nature of home that have become more and more relevant in recent times: What does it mean to come home? As a child? As an adult? What is home? It is 1957, and thirty-eight year old Glory Boughton's relationship has fallen apart. With nowhere else to go, she returns home to Gilead to care for her dying father, abandoning her position as a teacher to do so. Without her marriage and without her job, she wonders to herself, what is left? What is she? What role does she have beyond caretaking, and what role does that leave her when her father dies? "Why do we have to read poetry? ... Read it and you'll know why. And if you still don't know, read it again. And again. Some of them took the things she said to heart, as she had done once when they were said to her. She was helping them assume their humanity. People have always made poetry, she told them. Trust that it will matter to you." Glory is not the only Boughton child to return home, however; her estranged brother, Jack, has sent a letter to her father that he will soon be coming home as well. Like Glory, Jack has nowhere left to go; unlike Gloria, Jack is the cast-off of the family, the perennial trouble-maker, the only Boughton child not to make an appearance at his mother's funeral, the only Boughton child over which their father prays on a daily basis, the lost son that has broken his father's dying heart on too many occasions to count. "There is a saying that to understand is to forgive, but that is an error, [he] used to say. You must forgive in order to understand. Until you forgive, you defend yourself against the possibility of understanding." But at heart, he has not truly forgiven Jack for the hundreds of small heartbreaks over the years, the dozens of large ones, and so he is incapable of understanding his son, now a grown man with whom he wishes so dearly to make amends. There is a reason that Robinson's works have been nominated for, and received, as many awards as they have. Gilead, the precursor to Home, won the Pulitzer Prize for Fiction in 2005, and was chosen as the NBCC winner in 2004. Home won the Orange Prize for Fiction in 2009. Robinson's skill lies in her ability to invent the most mundane of characters, who live the most ordinary lives, but whose experiences force readers to ponder the bigger questions of life. Though Home offers multiple definitions of "home," Robinson in no way sets out to define the word for us in the end. It is the act of questioning, her words seem to imply, that teach us the most, rather than the answering itself. "In destitution, even of feeling or purpose, a human being is more hauntingly human and vulnerable to kindnesses because there is the sense that things should be otherwise, and then the thought of what is wanting and what alleviation would be, and how the soul could be put at ease, restored. At home. But the soul finds its own home if it ever has a home at all."